Robert Bosch Company Career Jobs Opening 2018-2019 Various Software Developer Posts Download Application at www.bosch-india-software.com Robert Bosch Career Job has Recently Announced 2018 regarding Software Developer & Various Job Openings Interested and Eligible Candidates can Download Application Through Official website. 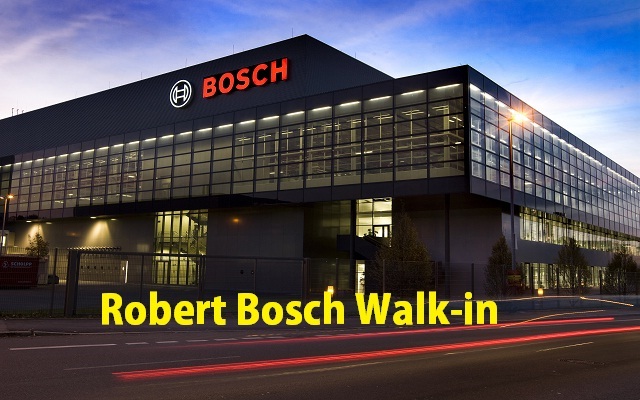 Robert Bosch Walk-in Drive || B.E/B.Tech @ Bangalore - Apply Now. Robert Bosch Engineering and Business Solutions Limited is a 100% owned subsidiary of Robert Bosch GmbH, one of the world's leading global supplier of technology and services, offering end-to-end Engineering, IT and Business Solutions.With over 13,000+ associates, we are the largest software development center of Bosch, outside Germany, indicating we are the Technology Powerhouse of Bosch in India. We have a global footprint with presence in US, Europe and the Asia Pacific region. Expert programming using C, C++,OOAD & UML. Good understanding of Linux Start-up. Knowledge of Linux OS internals like Socket Programming, Shell Scripting. Experience in Socket, Open SSL, TCP/IP, Protocol).